We’ve been working hard to address user feedback containing new feature requests and updates to existing features. Check out everything we’ve shipped in the last 3.5 weeks! Release Notifications: We’ve added a “News Feed” within the top navigation bar so you can now view updates like these quickly and easily. MSI: We have an MSI Installer! More info here. 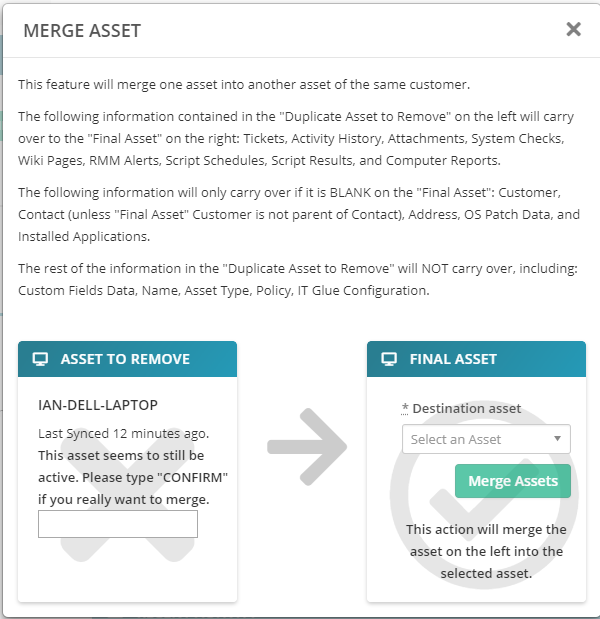 Assets: You can now merge duplicate Assets. Find out more here. 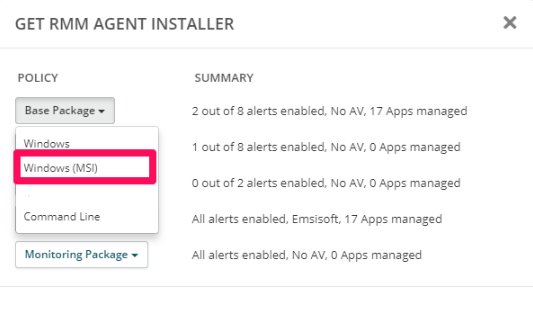 Importers: We updated our Autotask PSA importer, released an AEM importer, and more RMM importers are on the way! Learn more here. Scripting: We added the “Syncro Internal: Reboot” and “Syncro Internal: Run Antivirus” scripts to the “Favorite Scripts” shortcut. Scripting: We added a scripts Favorite button to the Asset’s Scripts tab. 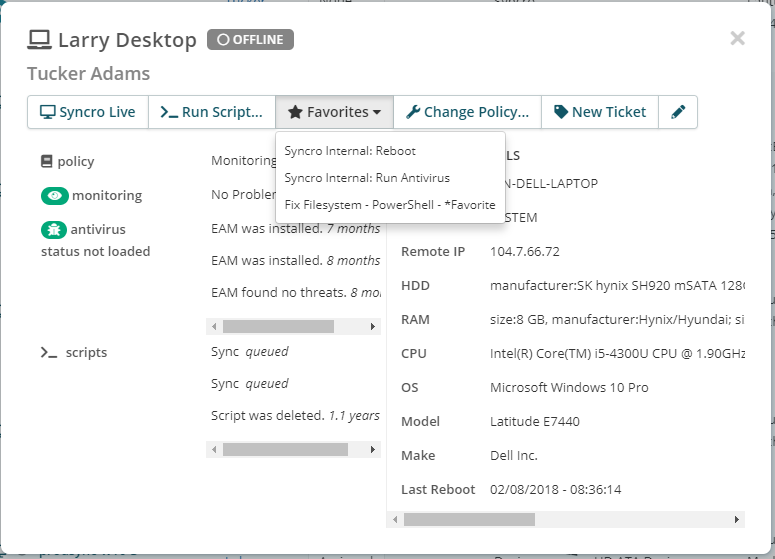 Dashboard: There is now an option to toggle the Dashboard page to full screen mode. Asset Saved Search: We improved Asset Saved Search to make application tracking more robust. 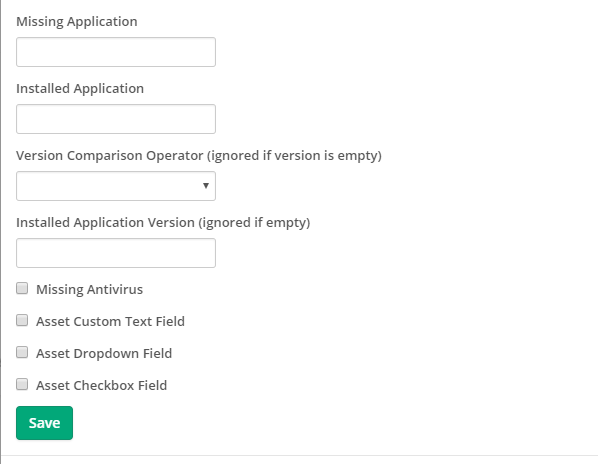 You can now choose to search by Missing Application, Installed Application Version, and Version Comparison Operator, in addition to searching by Installed Application which we launched a few weeks ago. 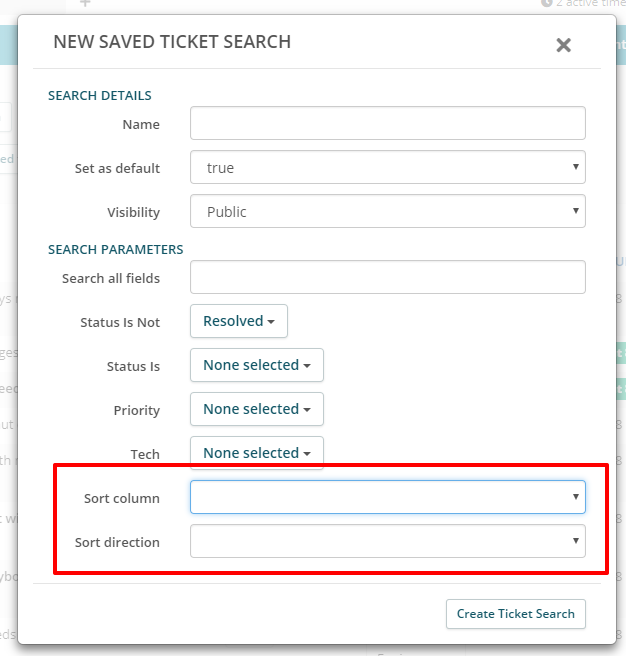 Tickets: Now, when you create a Ticket Saved Search, there are two new fields that allow you to include a “sort order” by column and by the direction. Tickets: If you sort by a particular column, Syncro will now remember the last column you sorted by and save this for the next time you log in! Tickets: We’ve added pagination to the Tickets Automation page so you can see all your Automations now. Tickets: You can now edit the description text for Ticket charges added as line items on Invoices, just like you can with the Ticket Timer. Tickets: Ticket charges can be marked as non-taxable. Contacts: We added search to the Contacts page. Contact Address: You can now auto-populate a Contact’s address using a drop-down menu containing all address options that were added to the main Customer profile in your Syncro account. Assets: ScreenConnect and/or TeamViewer sessions are now added as activities within the activity feed. Assets: You can now sort by Customer, Contact, Site/Address, and Asset Type in addition to Name which we launched a few weeks ago! Assets: Hovering over the activity feed time (activity happened X days/hours ago) now shows the exact date and time the event occurred. Assets: You can now see the details of which apps were installed/uninstalled in the activity feed. Assets: We also fixed how we report Windows updates in the activity feed. QuickBooks Integration: Restructured parts of QuickBooks Online integration for better performance. WooCommerce Integration: We added a button to let you update product descriptions in WooCommerce according to your current product descriptions in Syncro, in the event that your descriptions ever wind up out of sync. Find it on the settings page for WooCommerce! Bug fix: Tax-free prices on taxable items when manually exempted should be correct now. Bug fix: We fixed a display bug when running a Ticket Timer.